The star of Ally McBeal who also played Kitty Walker McCallister on Brothers & Sisters. 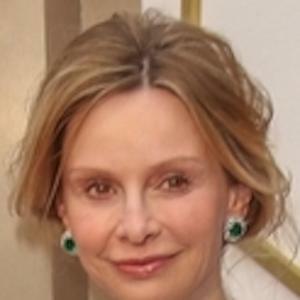 For Ally McBeal, she received a Golden Globe Award, a Screen Actors Guild Award and a People's Choice Award. In 2015, she was cast in the CBS series Supergirl. She worked as a waitress and an aerobics instructor while seeking auditions. She played the role of Helena in the 1999 film adaptation of A Midsummer Night's Dream alongside Christian Bale. She adopted a son named Liam in 2001 and she married legendary actor Harrison Ford in June 2010. She was on the ABC TV show Brothers & Sisters along with Sally Field.